Why Not a Boat Lift? Why Not an Air Dock? Your Antifouling Solution is Here! No Bottom Growth! 100% Eco Friendly! Reduce Electrolysis! No Toxic Bottom Paint! Created by Boaters! for Boaters! Barnacle Barrier™ is a low-profile floating dry dock. 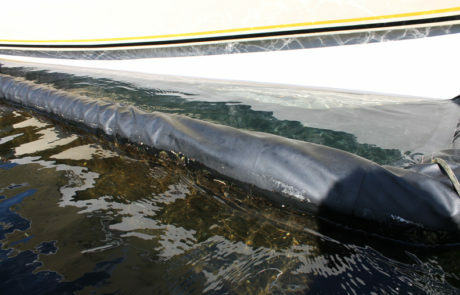 Our system keeps your boat bottom free from debris & growth without lifting your boat out of the water! Keep your boat’s hull protected in the water and prevent Bottom Growth, and limit Electrolysis while in the water! This innovative system has become largely recognized and used in Australia as a 100% eco-friendly antifouling alternative. Barnacle Barrier™ Slip Liner Systems protect your boat bottom from damaging bottom growth and helps against electrolysis! Simply pull your boat into the barrier, and simply pump up the air gate. How It Works / No More Growth! Barnacle Barrier™ Slip Liner Systems protect your boat bottom from damaging bottom growth and helps against electrolysis! Simply pull your boat into the barrier, and simply pump up the air gate. Now your boat is in its own isolated pool of water that will not allow bottom growth to form. Do you know how harmful antifouling bottom paint is to the marine environment? Most of the life in the ocean begins as a microscopic egg or organism that can be effected by the never ending toxin release of antifouling bottom paint. Commercial and recreational vessels commonly use antifouling bottom paint to kill the underwater organisms that grow on your boat bottom. Most of the life in the ocean begins as a microscopic egg or organism that can be effected by the never ending toxin release of antifouling bottom paint. Barnacle Barrier™Slip Liner Systems are mostly made of materials that can last 100+ years in salt water! Easy to use and easy up keep! No worries! Barnacle Barrier™ uses an incredibly strong polymer fiber bottom shield that can easily be replaced or serviced whiteout moving your boat if any unsightly damage ever occurred. Easy to use and easy up keep! No worries! The convenience of keeping your boat in the water ready to use at anytime without worry and an unsightly, expensive lift is an incredible feeling. 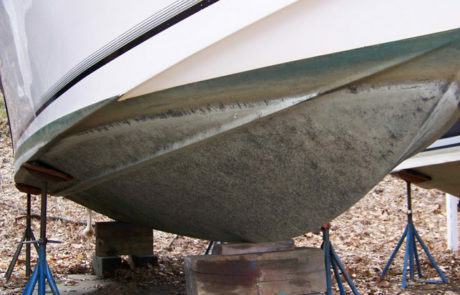 Forget the never ending dirty and damaging process of scraping, cleaning and painting your boat hull. 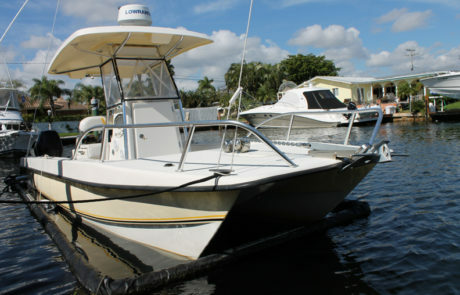 Keep your boat hull looking brand new and Go Green by eliminating the use of extremely toxic bottom paint. Barnacle Barrier™ is simple to install and simple to up keep, yet is extremely powerful in completely guarding your boat from bottom growth, excessive electrolysis, and water debris. 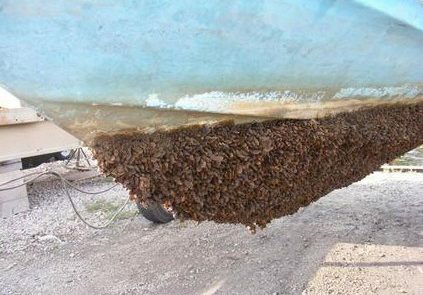 Barnacles, bottom growth, and electrolysis can easily do irreversible permanent damage to your boat, drive unit, transducers, etc if your boat is left in the water for only 2 weeks or more. 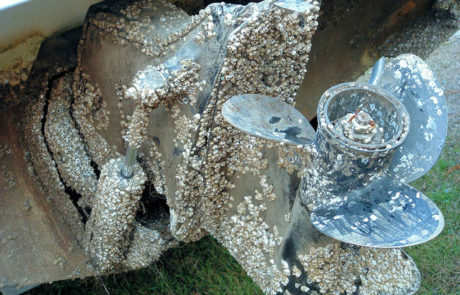 Barnacle Barrier™ protects your boat all day, every day! Works with any type of boat, Outboard, Inboard, Inboard/Outboard, Catamaran, Tri-Hull, Inflatable, Jet Drive, etc! Barnacle Barrier™ is a low-profile floating water barrier. Our system keeps your boat bottom free from debris & growth without lifting your boat out of the water! Keep your boat’s hull like new.